Interop 2008 runs April 27th - May 2nd. Check back often, as new products are update frequently. A summary of new offerings introduced at the big network industry conference. Key features: This software makes building applications for Apple's iPhone easier by letting developers and users test out a visualization of the application before starting the expensive process of coding. iRise partner OneSpring will sell the iPhone SimDK toolkit with a template guide that matches the form factor of the iPhone to ensure designs can be accurately reproduced with the Apple software development kit. Key features: Netgear's two-radio 802.11n access point, WNDAP330. Select one radio for 11n support, the second for your "legacy" clients, and the access point can run with standard 802.3af power-over-Ethernet. Key features: Bluesocket has announced its BSAP-1800, an 802.11n draft 2.0 Access Point that offers 2nd-generation, enterprise-class MIMO antenna technology. The BSAP-1800 delivers a full feature solution with a single 802.3af compliant PoE connector, enabling the vast majority of customer deployments to take advantage of full 3x3 MIMO performance without the need for a costly PoE infrastructure upgrade. Extreme's Summit x650 sports 24 10G Ethernet ports and can scale to 512Gbps through stacking. It's designed for enabling migration from 1Gbps server connections to 10Gbps. Foundry's 16-port 10G Ethernet module for the BigIron RX data center switch scales 10G density to 512 ports. Nortel's new VSS 5000 switch consolidates and virtualizes multiple services, such as firewalls, Application Switching and SSL Acceleration, onto a single device. Key features: ATEN Technology backs its new product line of 2- and 4-port cable and desktop KVMs with the industry's first 7-year warranty and free advance replacement. These units are targeted to consumer desktop environments, SOHOs, and SMBs. More info on list of the new cable and desktop KVM products visit www.aten-usa.com . Key features: Linktropy 4.0 is packaged on various appliance models from Apposite and now includes features that let network manager record actual network conditions and replay them through the Linktropy WAN emulator. The recorder monitors the delay and loss characteristics of the user's WAN links to capture the full range of best and worst case conditions over a period of time. Key features: SeaView Performance Solution is packaged as an appliance that passively captures transaction data in network traffic. The product can now break down roundtrip transaction measurements into four components and determine one-way latency, which is important to customers in the financial services industry, SeaNet says. Key features: nSolutions' NOVA (Network Ontology and Virtualization Appliance) manages change and configuration across network devices such as routers, switches and firewalls as well as applications, databases and servers. The appliance discovers the infrastructure configurations, correlates the interdependencies and then builds a logical construct of all physical, logical and virtual resources underlying the devices, servers and associated applications. Key features: Spiceworks upgraded its free monitoring software IT Desktop to now include IT services activity feeds, which allow the history of IT services to be viewed on an activity stream similar to a social networking application news feed. 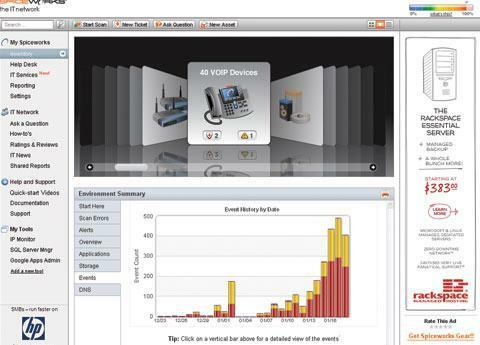 Spiceworks users can also now create customized reports and share them with other IT managers. And the new 'Network Glide' feature lets IT managers flip through and view network devices, applications and services with a single click. Key features: ZXTM (Zeus Extensible Traffic Manager) manages application traffic by inspecting, transforming and routing requests as it load-balances them across the application infrastructure. ZXTM 5.0 now features Java extensions to provide flexibility in how applications are managed and supports IPv6, SIP and RTSP (Real-Time Streaming Protocol). The NetScaler MPX appliance uses multi-core processors to boost the top speed of the NetScaler product line from 6G Byte/sec to more than 15G Byte/sec to address customer demand for faster devices to deploy in data centers. The device comes in two models that will be generally available at the end of April. A new IP PBX appliance and two IP phones top the news from Adtran. The NetVanta 7060 IP PBX appliance supports up to 24 VoIP phones via its power-over-Ethernet ports at a price of $411 per port, including the phones. The company is also announcing two new VoIP phones, one with six and the other with 12 programmable buttons. IP 706 costs $249 and IP 712 costs $299. Palo Alto's PAN-OS 2.0 software expands the company's App ID technology so it can respond to more specific criteria when it blocks traffic. For example, before the software could identify and block all peer-to-peer traffic. Now it can identify and block only that peer-to-peer traffic known to have vulnerabilities. It also supports new risk-assessment reporting (shown left) by application. Key features: BlueCat's Proteus IP address management appliance has been upgraded to include a workflow feature that introduces a change approval mechanism and process to ensure changes that are made are authorized. The product now also features self-provisioning capabilities that would automate user requests for IP addresses, network and DNS hosts. An IP reconciliation feature makes it possible for network managers to keep current the repository of used and unclaimed IP addresses. Key features: Splunk for Change Management is an add-on to the vendor's Splunk Server product that includes dashboard views with more than 40 reports designed to show changes across network, server and applications. The software can be configured to alert IT when unauthorized changes occur and integrates with third-party help desk and trouble-ticketing products to ensure change management processes complete. Key features: DeepSee lets IT locate and reconstruct specific communication flows or network activities from within a historical record of all network traffic that crosses their organization. Solera DeepSee indexes the complete historical record of captured and stored packets made available only by Solera DS appliances. It identifies network "flows" that are meaningful for IT and business users. Solera's DeepSee capability will be built into the company's DS Series of packet capture appliances. Price: Solera DeepSee is part of the DS series appliances, which start at $9,995. Key features: The Power Xpert Server Solution is a data center power management system which provides visibility into energy consumption and power trends. The product includes a power quality meter, Ethernet switch, current transformer and some installation equipment. The system presents complex electrical data in an easily readable graphical format, showing the status of a data center's power quality with a traffic light. 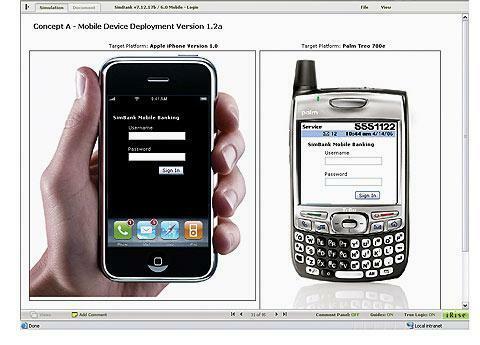 Monitoring and management capabilities can be accessed through a Web browser. 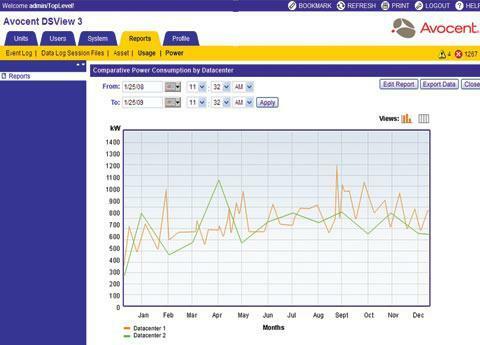 Key features: The DSView 3 Power Manager, an add-on to Avocent's DSView 3 management software, enables data center managers to measure power consumption and energy usage of IT equipment in near real time. The software aggregates electrical usage by kilowatt and converts it into kilowatt hours, which Avocent says is how companies are charged for electricity. 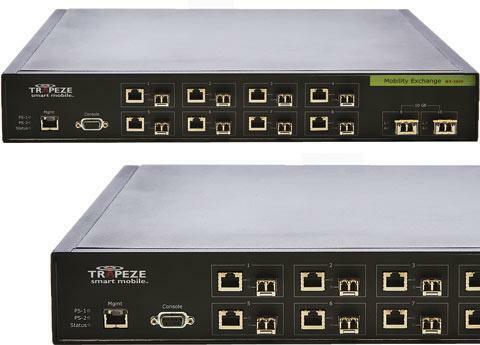 Key features: Hardware and Web-based software system that aims to intelligently monitor physical layer connectivity within reduced rack space. The system consolidates rack hardware into a panel manager and expansion panels that snap into the back of the Panview iQ Patch Panels. A keypad interface provides visual and audible feedback for patch cord tracing and diagnostic navigation. Key features: The Metron 2.0 appliance sits in-line on the network and passively monitors traffic to determine employee bandwidth use, optimize business processes and spot malicious behavior. Metron 2.0 now includes a bandwidth control capability that enables network managers to throttle traffic to specific Internet site or prevent specific end user, groups or departments from hogging bandwidth. 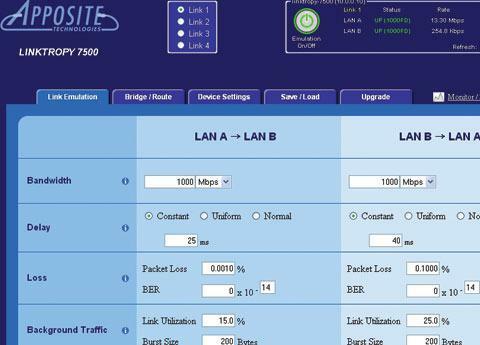 Key features: INE-LCD is a standalone emulation device (about the size of a car radio, iTrinegy says) that tests application performance between two points and can help network managers understand how applications will perform over the WAN. The product enables network managers to input what-if scenarios to determine how performance could change with increased bandwidth or when competing in production environments. 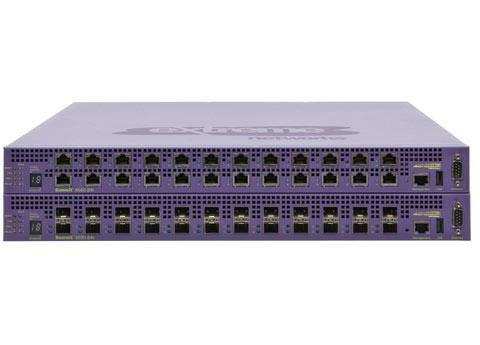 Key features: The Video Border Proxy (VBP) 200 device for home offices prioritizes audio and video traffic so it doesn't suffer crippling delays over low-bandwidth home Internet connections. 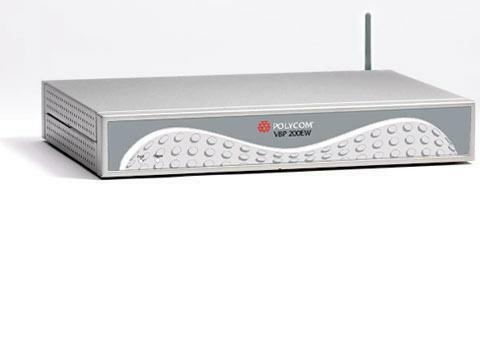 VBP 200 includes routing, a firewall, a wireless access points and four Ethernet LAN ports. In combination with a Polycom V700 video monitor with built in microphone and speakers, home offices can be outfitted with business quality video conferencing gear. Key features: the IxYukon is a load module for network and application testing for networks using 10 Gigabit Ethernet equipment. The product helps network managers determine how 10GbE equipment will perform at scale, under realistic traffic loads. Ixia says its test ports provide space and energy savings compared to similar products. Pricing: Final pricing to be determined, but will range between $128,000 and $288,000. Key features: WatchPoint is a new offering packaged as an appliance from WildPackets that sits inside the network firewall and aggregates data from multiple network sources. WatchPoint collects data from WildPacket's OmniEngines, NetFlow and sFlow supported devices. The product couples continuous monitoring with WildPacket's history in expert analysis and troubleshooting capabilities. Key features: VirtualShield 4.2 works at the hypervisor layer to protect virtual servers from threats in passing traffic. The software takes snapshots of the virtual servers on the hypervisor and maintains a consistent inventory of virtual assets, such as open ports, active services and applicable application protocols. Now VirtualShield can also protect virtual machines (VM) against from attacks such as SQL injections, cross-site scripting and HTTP smuggling. Key features: MailMarshal e10000, now packaged as a virtual appliance, protects against security threats including network identification, spam, fraud, viruses, regulatory non-compliance and intellectual property theft. The e-mail security software also provides message routing, authentication, encryption, address translation and message management functions to e-mail managers. 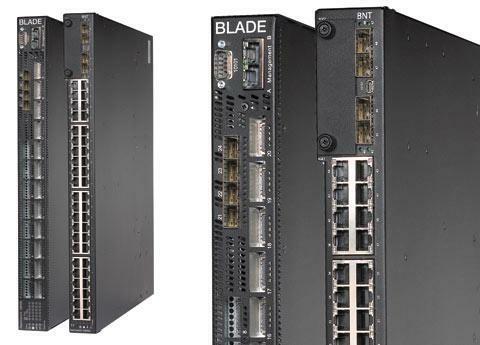 Blade Network Technologies, a supplier of switches to IBM and HP for data center blade server racks, has unveiled two new 1U switches. The G8100 is equipped with 24 10 Gigabit Ethernet ports, and designed for emerging high-volume 10 GE applications, like aggregation; and the G8000 is equipped with 48 Gigabit Ethernet ports and four 10 Gigabit Ethernet ports for uplinks or stacking. 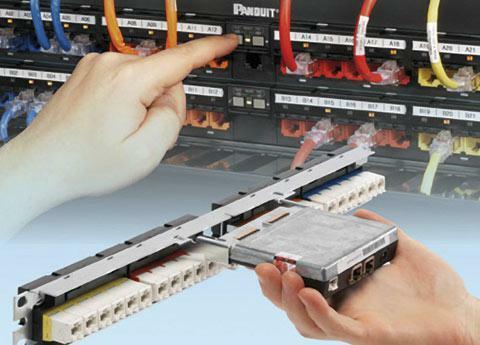 It is designed for rack-level server connectivity. The first 11n access points from this vendor, which offers a WLAN architecture that does away with separate wireless controllers. The 320, one of three new access points, is designed for indoor offices and similar spaces. The other two models are for industrial sites and outdoor deployments. The 320 has two 11n radios, which can run at the same time, one in the 2.4GHz band and one in the 5GHz band. It has 2 10/100/1000 Ethernet ports, and the vendor's "SmartPoE" circuitry. You can buy and deploy these as two-radio 802.11abg devices. Later, when you're ready, you pay an additional amount to activate the 11n capability. The 124 has external, detachable, replaceable antennas; the 125 are not removable. Aruba says both 11n radios can run over an existing 802.3af PoE connection. Talk about an abundance of 11n. This device packs four 11n radios, two of them can be assigned separate channels in the 2.4GHz, two of them separate channels in the 5GHz band. Meru's architecture lets you in effect layer four separate WLANs atop each other. You can assign each to different groups of users or applications, including radio frequency monitoring for rogues. The addition of a USB port lets you plug in the Wi-Spy spectrum analyzer dongle from MetaGeek. But to run all four radios at full-bore, you'll need extra power from PoE equipment dubbed "PoE plus," a higher-powered alternative to 802.3af, pending the still un-ratified 802.3at standard. The 440 has a hefty price. A new network management application, called Wireless Virtual Reality, will use your floorplan to create a complete 3-D image of the access point locations and coverage at your location. Shown here, the software reveals the location of a red-colored access point outside an office at right; the green "ball" at left shows the envelope of coverage from another access point. You can zoom in and out and navigate through the structure, to see the access points, and how their signals radiate through the building. A one-radio, 2.4GHz 11n access point, the first to feature Ruckus' new wireless mesh software (it can run on existing Ruckus devices, too). Mesh eliminates the need for every access point to have an Ethernet link to the LAN, and it routes traffic around broken connections. The 7942 has the Ruckus smart antenna array, which changes antenna combinations on the fly to maintain the best connection and throughput. The vendor also is releasing a new high-end controller, the ZoneDirector 3000, supporting up to 250 access points. Pricing starting at $6,000 and it will ship in July, 2008. The vendor's new high-end wireless controller, designed to handle 11n WLANs. It has a switching capacity of 28 Gbps, and can support up to 12,000 active clients on up to 512 access points. You can "virtually" stack these units, up to 64, and manage them in effect as one giganto controller. A two-radio 11n access point, with two Gigabit Ethernet uplinks that support PoE. Array Networks is introducing software called WiFiProtect for its SSL VPN hardware that authenticates users trying to join business networks via Wi-Fi access points and sorts out guests from employee. It assigns different groups to different VLANs and also enables designated employees to directly grant guest status to visitors. The software can be installed on the hardware along with Array's SSL VPN software to create a universal access gateway for businesses. Weigh in on the products you've seen here -- OR -- if you are at the show, let us know what YOU think we should shine a spotlight on.